I LOVE crab! I know I have shared this many times before! 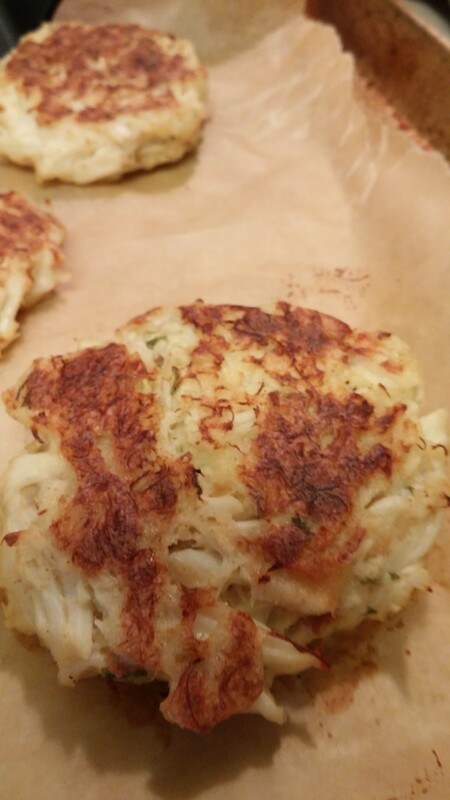 I realized I have never shared my crab cake recipe with you before! Most likely it is because I usually don’t measure and just toss them together. The last time I made them I decided to measure and actually write my recipe down! Growing up the filler my mom and grandmother used were hot dog buns. I usually use some form of white bread, use what you have on hand! I usually purchase my crab at Costco, it is about 20.00 for a pound of crab. The BEST crab of course would be fresh caught Maryland crab but you have to wait for the summer for that! ENJOY! Meet me back here next Monday! Enjoy the rest of your week! Mix these together until combined well. Crumble in 4 slices white bread slices, you don’t want big pieces. 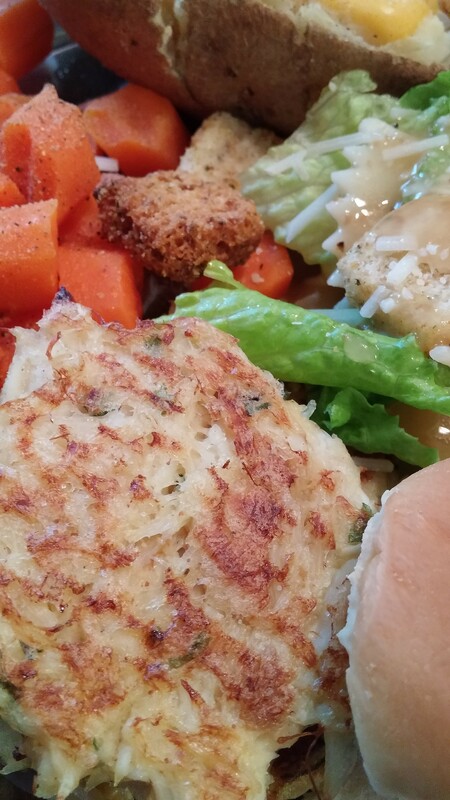 Mix all together gently so as not to break the big lumps of crab meat. Bake at 375 degrees for 15 to 20 minutes. Turn the crab cakes about half way through baking, this will give you the golden color that you normally would get pan frying. ENJOY!